Think you need to hire a physician to fill an opening at your hospital, practice, or organization? Not necessarily: A nurse practitioner (NP) may be able to get the job done, says Tay Kopanos, DNP, NP, the Vice President of State Government Affairs for the American Association of Nurse Practitioners. As an added bonus, it typically takes less time to find a locum tenens NP to fill an open position. The path to becoming a nurse depends on which type of nursing career you’d like to pursue. You could choose to be a licensed practical nurse (LPN) or a registered nurse (RN). An LPN program is typically one year long. Programs to become an RN are either three-year hospital-based nursing school programs (diploma), or two- or four-year college programs. Graduates from two-year programs earn an associate degree in nursing (ADN), while those who attended four-year college programs graduate with a bachelor’s of science in nursing (BSN). Successful completion of such a program allows you to write the licensing exam, called the NCLEX. Once you have passed the NCLEX, you can apply for a license to practice as a nurse in your state. LPNs who want to become RNs may be able to follow an LPN-to-RN bridge program. This type of program is adapted for students who already have a nursing background. Registered nurses with the ADN who want to get their BSN may be interested in following an ADN-to-BSN bridge program. Furthering your nursing education means acquiring more advanced skills and performing more critical tasks. For example, you must be a registered nurse and have at least a master’s in nursing to enter more advanced careers in the field, including nurse practitioner, nurse midwife or nurse anesthetist. Before applying to colleges or signing up for classes, ask yourself a handful of critical questions: Do I need a bachelor’s degree to work as a nurse? What happens if I fail the NCLEX? Where will I feel comfortable starting as a nurse? Do I want to work myself up to a higher level of nursing gradually or do I want to go straight there? The following guide helps answer these questions and illustrates the various pathways that aspiring nurses may take to pursue the career they truly want. Although nursing responsibilities vary by specialization or unit, nurses have more in common than they have differences. Nurses provide, coordinate and monitor patient care, educate patients and family members about health conditions, provide medications and treatments, give emotional support and advice to patients and their family members, provide care and support to dying patients and their families, and more. They also work with healthy people by providing preventative health care and wellness information. Although nurses work mostly in hospitals, they can also work in or for schools, private clinics, nursing homes, placement agencies, businesses, prisons, military bases and many other places. Nurses can provide hands-on care, supervise other nurses, teach nursing, work in administration or do research – the sky is the limit. Work hours for nurses vary quite a bit. While some nurses do work regular shifts, others must work outside traditional work hours, including weekends and holidays. Some nurses work longer shifts, 10 to 12 hours per day, for example, but this allows them to work fewer days and have more days off. Good nurses are compassionate, patient, organized, detail oriented and have good critical thinking skills. An interest in science and math is important due to the content of nursing programs and the technology involved. Nurses must be able to function in high stress situations and be willing to constantly learn as the profession continues to grow and develop. If you choose to become an LPN, you will likely provide direct patient care under the supervision of an RN or physician. Registered nurses have more autonomy than LPNs, and the degree of care they provide depends on their level of education. An RN with an associate degree generally provides hands-on care directly to patients and can supervise LPNs. There may also be some administrative work. An RN with a BSN can take on more leadership roles and more advanced nursing care in specialized units, for example. Nurses can continue to get a master’s degree in nursing (MSN) and become nurse practitioners, nurse midwives or nurse anesthetists. These are called advanced practice nurses (ARPNs). They have a larger scope of practice and are more independent. An entry-level nursing career, LPNs provide basic care to patients, such as checking vitals and applying bandages. This critical medical function requires vocational or two-year training plus passing a licensure examination. This specialization focuses on care for newborn infants born prematurely or that face health issues such as infections or defects. Neonatal nursing requires special skill working with small children and parents. A more advanced nursing profession, nurse practitioners engage in more decision-making when it comes to exams, treatments and next steps. They go beyond the reach of registered nurses (RNs) and may work with physicians more closely. Registered nurses are the most numerous in the profession and often serve as a fulcrum of patient care. They work with physicians and communicate with patients and their families. They engage in more sophisticated care than LPNs. The following is a script from "The Health Wagon" which aired on April 6, 2014. Scott Pelley is the correspondent. Henry Schuster and Rachael Kun Morehouse, producers. President Obama announced last week that more than 7 million people have signed up for Obamacare. But what went unsaid is that almost as many people have been left out. Millions of Americans can't afford the new health insurance exchanges. For the sake of those people, Obamacare told the states to expand Medicaid, the government insurance for the very poor. But 24 states declined. So, in those states, nearly five million people are falling into a gap they make too much to qualify as "destitute" for Medicaid, but not enough to buy insurance. We met some of these people when we tagged along in a busted RV called the Health Wagon -- medical mercy for those left out of Obamacare. These patients would be taken care of in the 26 states that expanded Medicaid under Obamacare. The federal government pays the extra cost to the states for three years but Virginia and the others that opted out fear that the cost in the future could bankrupt them. So the health wagon patients we met have fallen through this untended gap. This week in Virginia, there is a crisis at the capital where the new Democratic governor is demanding Medicaid expansion from the Republican House. But neither side will budge and now there's a threat of a government shutdown in that state. There's no shutting down the Health Wagon though. Gardner and Meade have raised money for a new truck and they hope to get it on the road in the spring. While there are plenty of apps out there promising to make my life as a nurse practitioner easier, once downloaded to my phone they go largely unused. Rarely do I calculate pediatric dosages with special programs, rather I go straight for pen and paper. I don't check apps streaming medical news- the last thing I want to do after work is be inundated with more information from the world of medicine. But, this week I stumbled across a true winner in the healthcare app world. PingMD, an app that facilitates patient-provider texting offers real value to NPs. When I heard about the new PingMD app, I was thrilled that someone had finally come up with a way to bring patient-provider communication into the 21st century. The medical world is notoriously behind technologically and I was excited by the prospect of weaving my favorite form of communication, texting, in with my work. So, I decided to contact the app's creator, neurosurgeon Dr. Gopal Chopra, to get the story behind PingMD. Here's what he had to say about bringing texting to the patient-provider relationship. What inspired you to develop a way for providers and patients to text? Dr. Chopra explains that his wife is a pediatrician who initially sparked his idea for the texting app. She described what she saw as "spillover". Office visits with patients are getting shorter and shorter. When patients don't retain the information they get from visiting their healthcare provider, or are unable to reach them during a time of need, they end up in the emergency department. If she had known about the patient's problem, Dr. Chopra feels that she could have prevented the patient from going to the emergency room, and probably answered their question or given them direction for their medical problem in just a few seconds. But, without an easy way to communicate, she is unable to avert unnecessary emergency department visits. Dr. Chopra also describes the experience in his own clinic. The nurse practitioner in Dr. Chopra's neurosurgery office takes about 80 percent of patient calls. He describes that it only takes this NP about 30 seconds to decide the best course of action for the patient. The problem with patient-provider communication isn't that providers don't know the best course of action for their patients, it’s the communication system that's broken. PingMD, Dr. Chopra's new app solves this problem. We all know HIPAA is a major barrier to streamlining patient-provider communication. Does PingMD comply with HIPAA? When I ask this question, Dr. Chopra brings up an excellent point. In order for communication to be secure, it must do so from both the patient and provider's end. This is why texting between patients and providers can be difficult. Even if the provider's phone is secure, the patient's phone may not have necessary privacy and security measures in place. The PingMD app addresses this issue. PingMD complies with HIPAA regulations through password protection, requiring authentication and encrypting stored information on the end of the patient and provider. How much does PingMD cost patients? Providers? PingMD creates obvious value for medical practices, so I decide to get to the bottom-line asking Dr. Copra about pricing. I'm shocked by his reply. The PingMD app is free! Both healthcare providers and patients are welcome to create PingMD accounts free of charge and begin texting. PingMD does charge for one service. The app has the ability to integrate with electronic medical records recording the text conversation in the patient's personal medical record. This saves you as a provider from going back to record the conversation later, well worth the expense. Most providers don't like taking calls from patients after-hours. Isn't allowing your patients to text you even more intrusive to your private life? I think I have thrown Dr. Chopra a zinger here. During my time working as a primary care nurse practitioner, I dreaded hearing my work phone ring. It meant a great deal of work to follow. First, I would talk with the patient, then possibly call a medication in to the pharmacy, followed by opening my laptop to record the interaction...on a Saturday evening. I imagine that by making communication easier, communicating with patients will require even more of my weekend time. Quickly, I see that I am mistaken. Dr. Chopra explains that texting patients makes being on-call a more palatable prospect. Rather than interrupting your day to answer the phone, PingMD allows you to answer a patient's questions with a simple text message. If your practice pays for PingMD, this message is then integrated into the patient's health record eliminating the need to record the interaction. Texts from patients using PingMD are confined within the app keeping your personal and work-related texts separate. Overall, texting is a more efficient, less invasive way to communicate with your patients than phone. How have providers seen PingMD improve their practice? Dr. Chopra says providers of all backgrounds, from primary care to anesthesiology clinics, love to ping. Not only does it make communication with patients easier on the provider-side, it also increases patient satisfaction. Sounds like a win-win situation. The idea behind PingMD is simple, but seamless patient-provider texting just might revolutionize your practice. New roles for nurse practitioners and physician assistants may cut a predicted shortage of physicians by about 50%, according to a new study released Monday. The surge in new patients covered by health insurance that will be sparked by the Affordable Care Act has led to predictions that there will be a shortage of 45,000 primary care physicians by 2025, about 20% less than the predicted demand, said David Auerbach, a policy researcher at the Rand Corp., a non-profit policy think tank that conducted the study published Monday in the journal Health Affairs. Those studies, Auerbach said, were based on the assumption that health care practices would not change how they operate and ignore provisions in the 2010 law that allow the creation of nurse-managed health centers and medical homes that could relieve physicians of some of their caseload. Technology improvements, also spurred by the law, could also relieve part of the shortage, he said. "The story has been, 'There's a looming physician shortage, and the Affordable Care Act's going to make it worse, so what are we going to do?" Auerbach said. "But even policy-makers looking at those numbers don't realize they're coming from a static, unchanging way of how we deliver care." A surplus of 34,000 nurse practitioners, about 48% above demand, and 4,000 surplus physician assistants will help relieve the doctor shortage, Auerbach and his research team found. • Medical homes. A group of people working together to provide care. A physician, physician assistant or nurse practitioner leads the team of doctors, nurses, pharmacists, nutritionists and social workers using electronic health records and care coordination. Each team can care for larger numbers of patients than a doctor could on his or her own. • Nurse-managed health centers. These are centers managed by nurses consisting of nurse practitioners. Usually, they are affiliated with academic medical centers, and they often provide specialty care to low-income populations. "I think these changes can matter quite a lot," Auerbach said. "It's sort of a given: If you use nurse-managed health centers, you're not using a lot of doctors. But patient-centered medical homes, I guess we really didn't know the outcome." So far, Auerbach said, researchers have seen positive examples of how the changes can work, but they need more analysis. The new health law promotes these models because they save money, and has provided up to $50 million in direct grants to support nurse-managed health centers. And there are pilot programs for Medicare and Medicaid patient-centered medical homes. The authors said states may need to "liberalize" scope-of-practice laws for nurse practitioners and physician assistants to fill those roles, as well as supply more nurses and aides. The American Association of Nurse Practitioners is launching a new advertising campaign to try to push for those opportunities, as well as to help people understand what nurse practitioners do. According to the American Academy of Physician Assistants, 60 new physician assistant programs were waiting for accreditation as of May, and they expect 10,000 new physician assistants by 2020.
practitioners (FNPs) can play a valuable role in providing families with access to primary care. 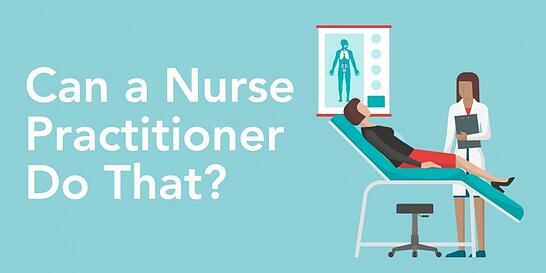 What is the salary of a family nurse practitioner? Nurse practitioners enjoy an average, full-time, total salary of $98,760, according to the American Association of Nurse Practitioners. In South Carolina, 42 out of 46 counties are designated as rural or medically underserved by the federal government. According to the U.S. Health Report Card, South Carolina ranks “F” in overall health status, emergency care, chronic disease management and prenatal care. Our state ranks 7th in the nation in infant mortality and 47th in low birth weight. Whether you support the national health care reform efforts or not, the simple fact remains that in 2014 the Affordable Care Act will bring in 30 million new patients into an already broken system that is unable to provide needed care. In South Carolina, we will have to find a way to provide primary health care services to a projected 800,000 new patients. Consider how long you may be in the waiting room for a visit for your child and consider how long it will take to get an appointment. The average wait time in an emergency room in 2011 was 64.3 minutes. Some experts expect that to double soon, especially in rural areas. Why? Because folks who cannot access primary care use the emergency room for primary care. We are in a state of crisis. We need to serve more people with fewer physicians. The American Medical Colleges Center for Workforce states that there will be a national shortage of about 63,000 primary care physicians by 2015. South Carolina already ranks 33rd for lowest ratio of those physicians. According to a 2012 article in Medical Care magazine, the number of nurse practitioners in the U.S. will increase by 94 percent by 2015. We have 2,592 Advanced Practice Registered Nurses (APRNs) already in South Carolina. Among these APRNs are Nurse Practitioners (NPs) and Certified Nurse Midwives (CNMs), who hold at least a master’s degree in nursing with advanced education and clinical training to assess, diagnose and manage a patient’s health care at the primary care entry while working collaboratively in teams for the optimal patient outcome. Allowing a patient the option to select an APRN as their primary provider could give people access to over 3,000 additional primary care providers when this crisis hits. The problem deepens for the patients who will desperately need access to care. Currently, the barriers to practice for these advanced level nurses include: the inability for APRNs to order handicapped placards, the inability to order durable medical equipment, inability to refer patients for diagnostic care, limitations on prescribing certain medications for pain and more. An APRN cannot provide care for a patient or prescribe any medication for them unless they have permission and the “supervision” of a physician within a 45 mile radius. This archaic constraint means that patients struggle to get the care they need in a timely and safe manner. In a rural setting, accessing care is even more burdensome for patients because of fewer providers and transportation options and higher unemployment, affecting health insurance eligibility. Accessing care is difficult and barriers exist everywhere. The Institute of Medicine in their 2010 report, “The Future of Nursing,” calls for the removal of barriers for APRNs so access to primary care is improved. According to the Washington Post, about 6,000 APRNs have already opened independent practices. Nineteen states have already removed barriers and now allow APRNs to practice to the fullest extent of their education and training. There is no longer an excuse for South Carolina to have an “F” in the healthcare rankings. We hope our policy leaders will take action and allow our qualified APRNs to provide the care that so many South Carolinians need before the burden on our healthcare system becomes even greater. Research shows that APRNs deliver safe, cost-effective, high quality autonomous care to manage a patient or population’s health, while working collaboratively in teams for the optimal outcome.